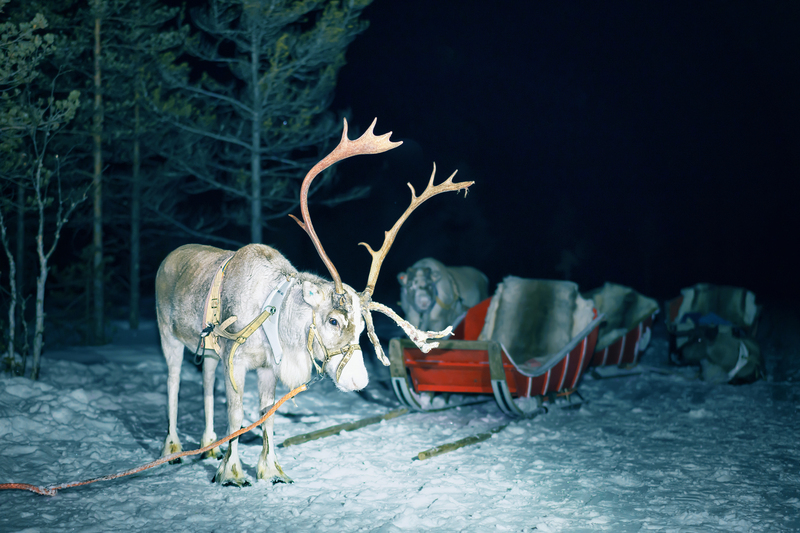 We go to a reindeer farm where we enjoy the mystical twilight on the reindeer sleigh ride. If we are lucky, we might see the northern lights! 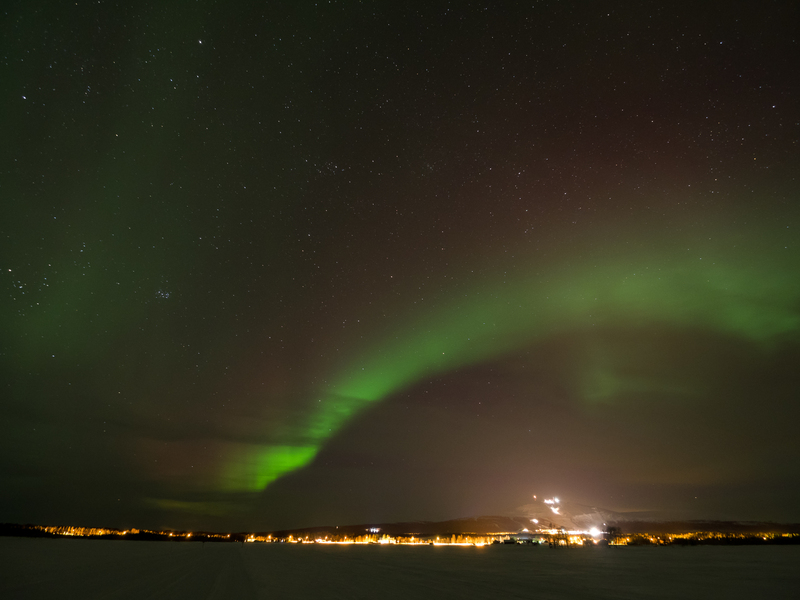 When it gets dark, we start our exploration of the magical Aurora Borealis. 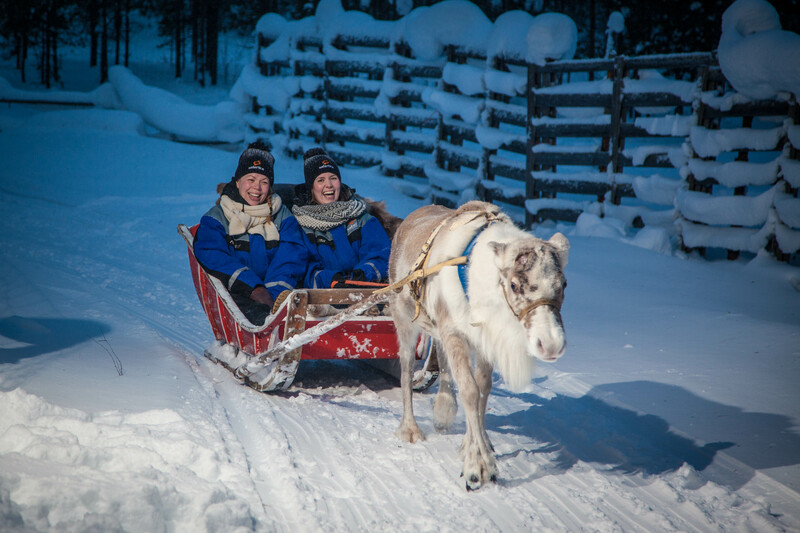 We take a bus to a reindeer farm where we enjoy the mystical twilight on the reindeer sleigh ride. Lapland’s winter is not totally dark after the sunset. White snow reflects the light and the colors of the sky in a mystical way. With a clear sky, we can see the stars and sometimes also the full moon. 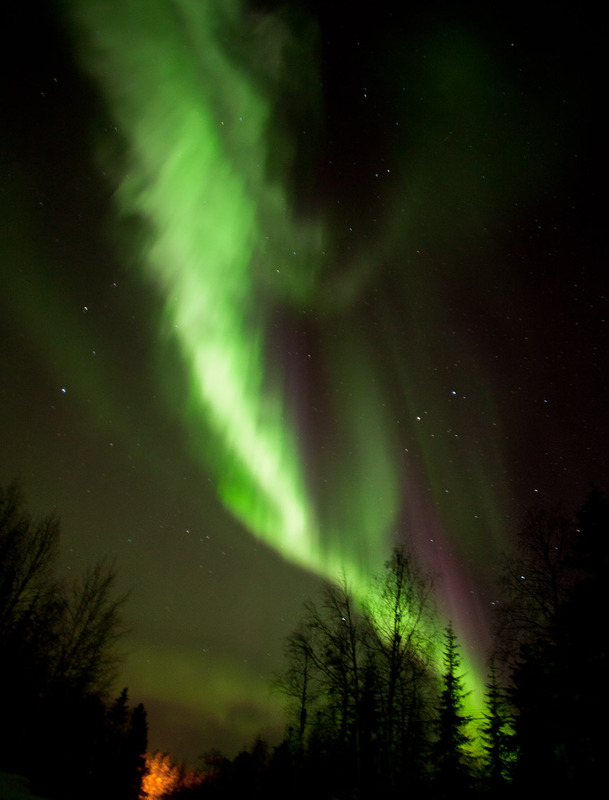 If we are lucky enough, we might also see the Northern lights dancing in the sky. After the reindeer ride we gather to a Lappish tepee to listen to interesting stories about reindeer and to enjoy a hot drink, sausage and a pancake.